I can't believe Thanksgiving is just around the corner. I think I'm going to a Friendsgiving tonight, so I have to figure out what to bring. I'm pretty sure I'm signed up for mashed potatoes and the Pioneer Woman mashed potatoes I made last year were a big hit, so I'll probably make those again. I'm still not sure what I'm gonna bring to our family Thanksgiving though. I should probably figure that out. 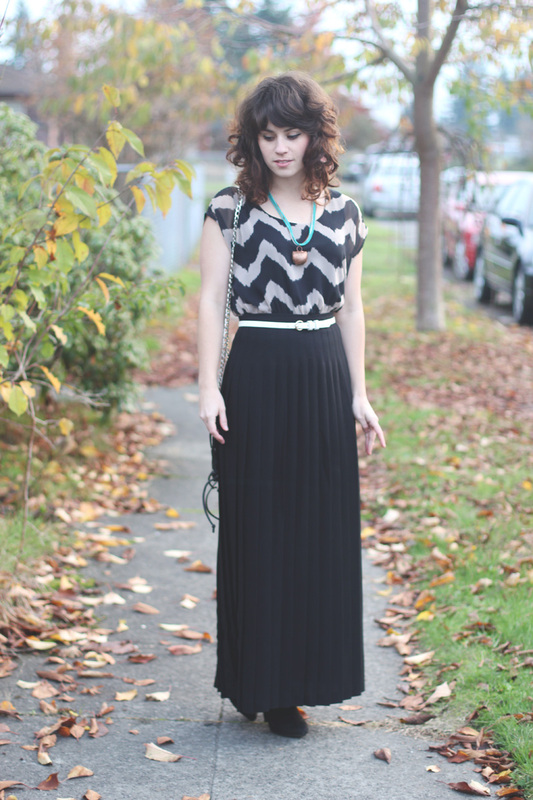 Speaking of Thanksgiving, I might just wear this zig zag dress. It's got the mandatory elastic waistband, but it's also a bit more fancy. 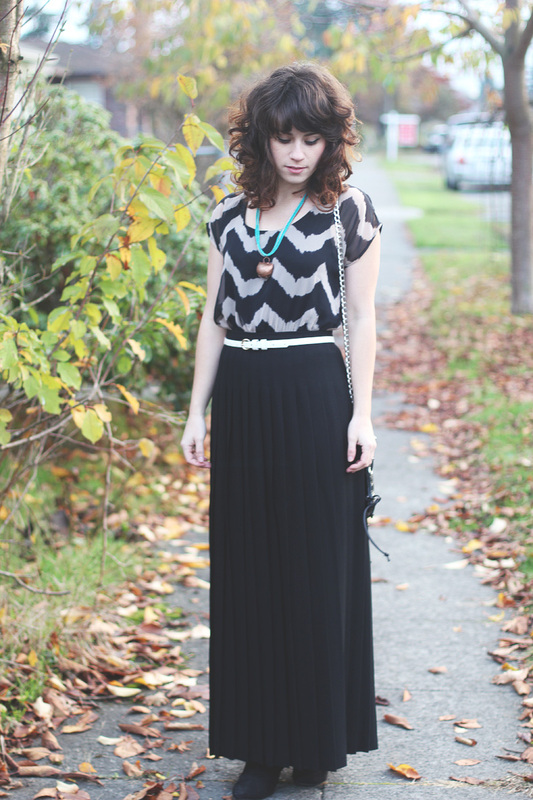 Fancy and comfy, perfect combo. Do you guys have any fun plans for the holiday weekend? Making any delicious dishes for Thanksgiving dinner? Most of my recent Thanksgivings have been pretty low key, but I'd love to have a big Thanksgiving dinner party with lots of friends and family. Maybe next year! 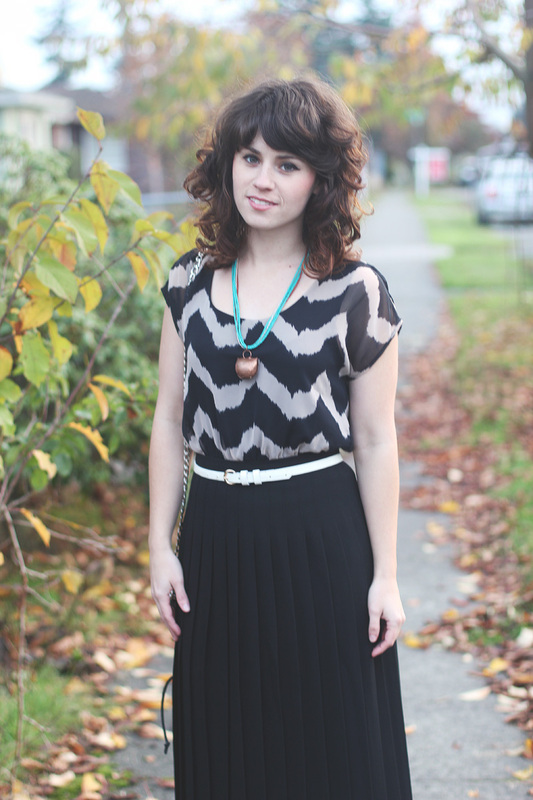 Today's giveaway is from Musana Jewelry, who kindly sent me the necklace I'm wearing in this outfit. 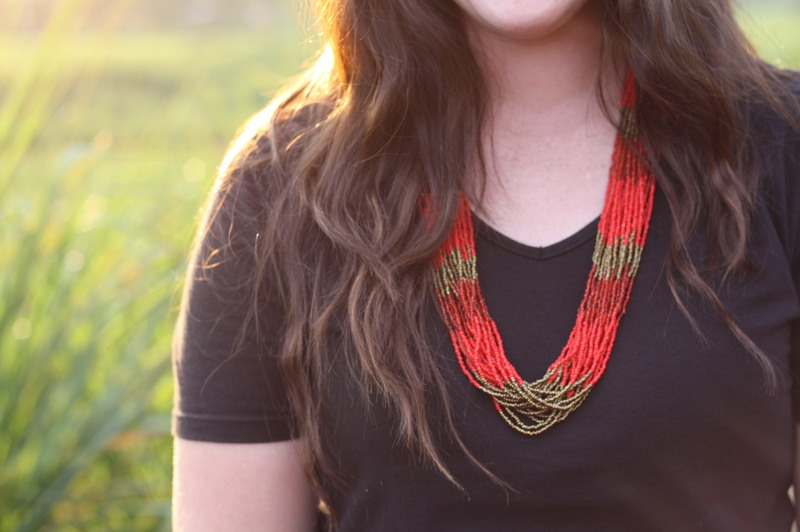 Musana Jewelry is a venture designed to bring stability to impoverished Ugandan mothers by selling their hand-made jewelry. Musana Jewelry has a dual mission targeting two vulnerable populations in Uganda: Uneducated mothers (especially widows and those who are HIV positive), and street children. 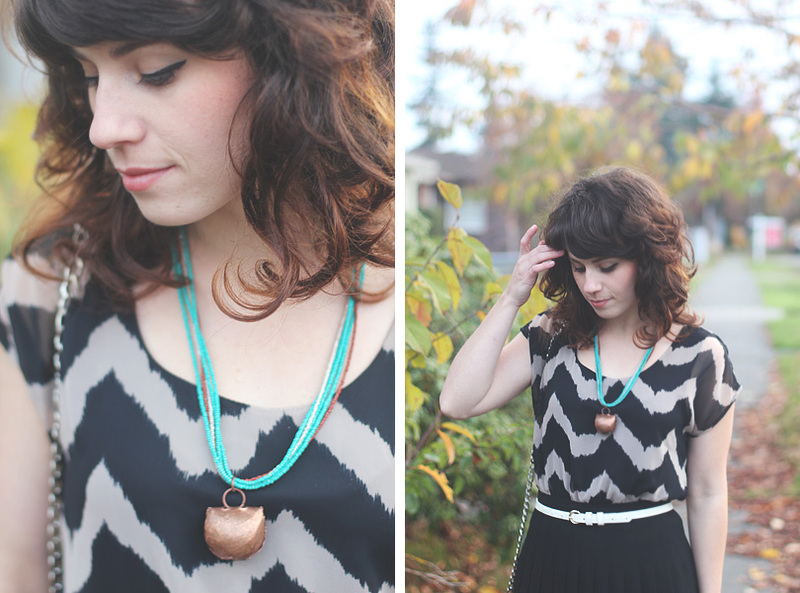 100% of profits return to artisans in Uganda and are helping them pull out of extreme poverty. Musana supporting women by giving them a job through the jewelry project, providing them with a steady income, financial and literacy classes, a savings and loan group, and an education stipend for their children! 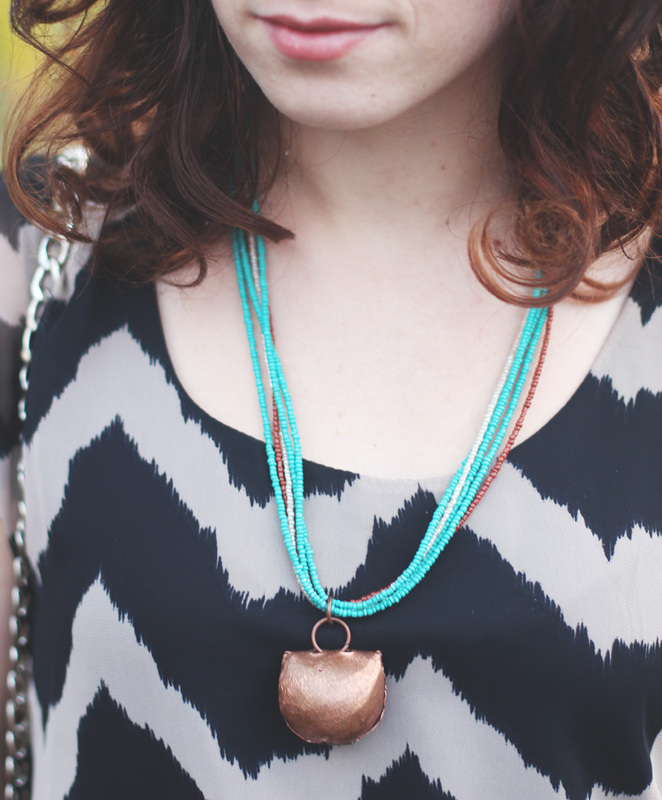 Today you can enter to win a Simba Sands necklace, shown above! To enter, just follow the instructions below! Open to US entries only.